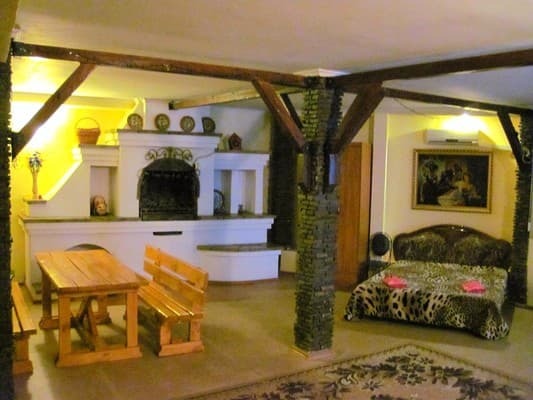 The cozy guest house "Yaltinsky Yard" is located 15 minutes walk from the city center and the waterfront. 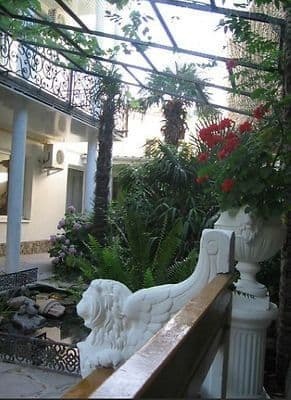 This is an excellent choice for a family holiday - a green courtyard with palm trees and bamboo, a large pond with fish, a forged gazebo with a barbecue. 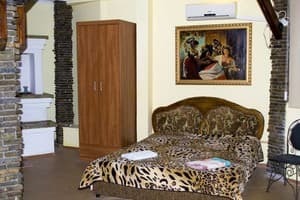 Hotel "Yalta Yardin" offers accommodation in comfortable apartments and cozy rooms of "junior" class. All rooms of the guest house are equipped with comfortable furniture, a bathroom, air conditioning, TV. Each room has a fully equipped kitchen for self-cooking. Free WI-FI is provided. Free parking near the guest house. Distance from bus station Yalta - 4,6 km. Description of the room: Studio with fireplace. In the room there are two communicating bedrooms with double beds. Description of the room: Two bedroom suite. In one bedroom there is a double bed, in the other one there is a sofa bed. 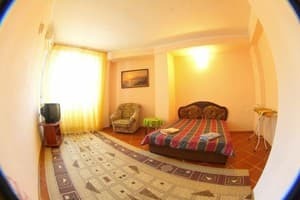 Description of the room: Two-room with a double bed and a sofa bed. 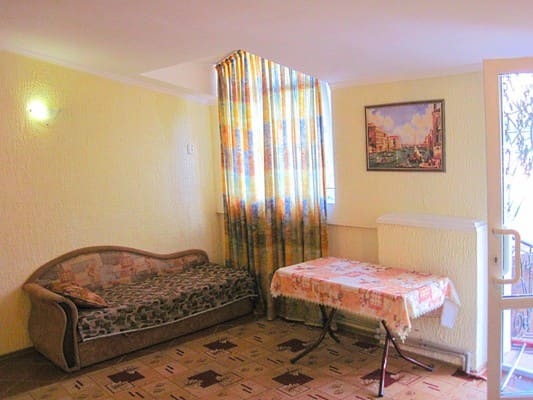 Description of the room: Three-room apartments, which can accommodate from 6 to 8 people. Two separate bedrooms with double beds. There is also a lounge with a sofa bed. Children are accommodated free of charge. 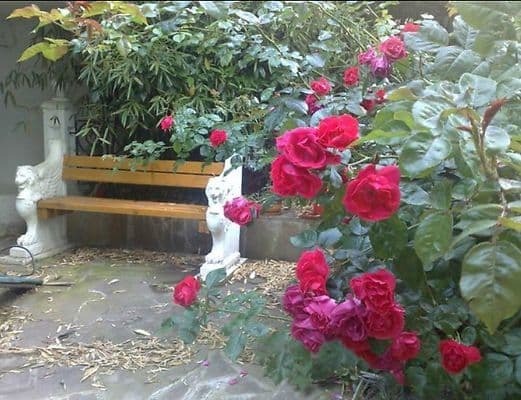 The guest house "Yaltinsky Yard" is located 15 minutes walk from the city center and the waterfront. Distance to the bus station of Yalta - 4,6 km. From the bus station of Yalta can be reached by trolleybus No. 10 to the stop "Pionerskaya" (land register office).